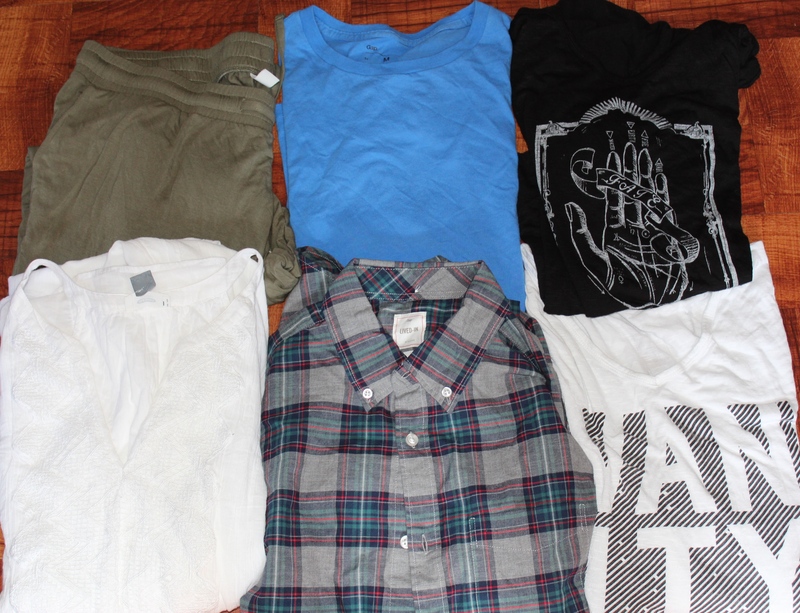 I’ve accumulated some new additions to my wardrobe while donating what I don’t wear. I have held on to clothes in hopes of wearing them, but that never happened. I just kept collecting, collecting, and collecting. It’s not that I don’t have the space, but I’d rather donate it and have it used than for it to just hang in my closet. As for my style, I really like neutrals with pops of color. I’ve also been into statement jewelry, and I can’t wait for fall so I can break out my knee high boots. 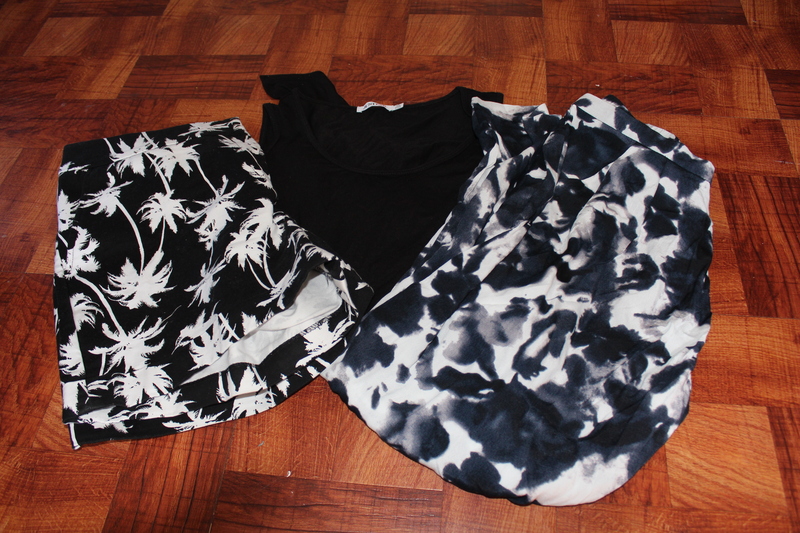 As for what I’ve added to my wardrobe although I’m into neutrals, I love printed pants. The easiest way for me to add a pop has been to wear all black and just accessorize, but I love printed bottoms as well. I featured a printed floral maxi (click HERE) in an outfit of the day, but having black and white printed bottoms leaves the print as not only the focal point, but the pop of color can be added easily as well. I purchased a pair of palm tree shorts from Kohls (Apt. 9 Essentials) and they are by far the most comfortable shorts that I own. I was so tempted to buy them in every print and color that was available, but I refrained myself. They fit great and they are amazing quality. They can easily be dressed up or down. As for the two items I purchased from JustFab, one was a dress and the other a pair of printed pants. The dress I had purchased for a party, but I’ll be wearing it for my 24th birthday in October. As for the pants, I haven’t quite decided how I wanted to style them, but an outfit of the day will follow once I do. Links to items I could find are below. 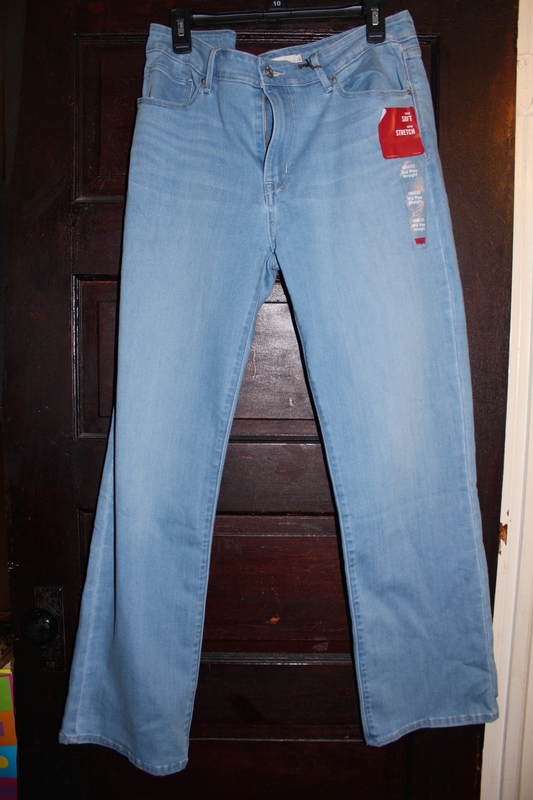 Most recently from Kohls I purchased a pair of Levi jeans. They were a regular $40, but they were 80% off and an additional 20% of that price. With Kohls Cash I ended up paying under $4 for the jeans. They are a bit baggy as they are a size larger than what I usually buy. They also aren’t typically my style because they’re wide legged, but they were so cheap I couldn’t leave them behind. I plan to turn them into boyfriend jeans and add some distressing. From the thrift store I was able to snag a few tops and a dress. I didn’t go in looking for anything in particular, I just wanted to see if anything caught my eye. I was able to find a plaid Gap shirt and a basic tee that can be styled with anything. I have a plaid shirt from Gap that I purchased 5 years ago and it’s one of my favorites in my entire wardrobe. I also snagged a few Old Navy items. I found a nice white dress which I’ll end up wearing sometime next Summer. It has great knit detailing at the the top and it’s a maxi dress. I’m only 5’6, but it’s difficult for me to find maxi dresses. I like the dress to basically drag the ground, not stop at my ankles. I also found a pair of joggers that I’m still trying to figure out how to style. They reach my ankles, but I would wear them cropped. Lastly, I found two tops that didn’t have the tag inside, but they look like they would be from Aeropostale. they are so cute, so flowy and every time I wear them I get major compliments. I try to stay away from white tops because I always drop something on my clothing, but thankfully this one has stay cleaned. Check out my previous thrift haul HERE. There are a few more items I’d like to add to my wardrobe for the fall/winter. A wish list post is coming soon!